A clone of Virgil Hawkins/Static. He first appears after the new batch of Bang babies are created in New York where he takes out Static. He then joins Piranha’s gang and kills the gang leader of a rival gang. Later he assisted the villain in capturing the clone of Sharon Hawkins, Cassandra Hawkins. When the true mastermind behind everything is revealed he faces Static one more time where he reveals he is his clone and he had been working undercover the whole time hoping to get to the bottom of who had abducted the original Sharon Hawkins and created Cassandra Hawkins. 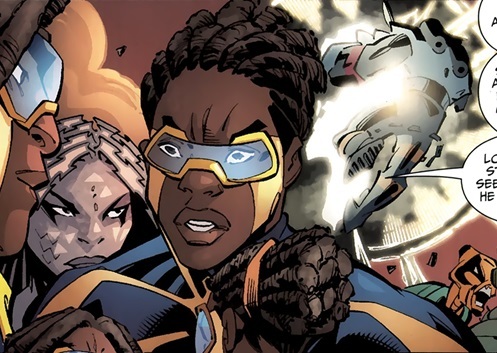 The duo alongside Gilotina manage to save Cassandra before he mysteriously disappeared [Static Shock #4-6].